Atop the long list of items to do when buying or selling a house is the home inspection. But what is involved? How much does it cost? Why is it done in the first place? 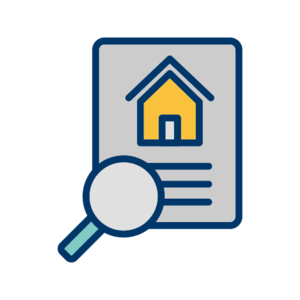 It is important to understand what a home inspection entails and how it affects the sale of your home or the purchase of a new one. The more you know, the less likely you are to get ripped off or taken by surprise. First of all, this is a commonly misunderstood point: a home inspection is not the same as an appraisal. An appraisal is an estimate of a property’s overall market value. A home inspection is much more detailed and practical. It is also not a code inspection and therefore does not report on building code compliance or give a “passing” or “failing” grade. It is defined as an objective visual examination of the structure and systems of a home by an impartial, neutral third party not related to the buyer or seller. In layman’s terms, it shows you what is wrong with the property you want to buy or sell and if it is serious enough to prevent a sale. A home inspection includes a visual examination of the house from top to bottom. There are hundred of items a home inspection covers, including general structure, flashings, basement or lower level, framing, central cooling and heating, chimneys, plumbing and electrical systems, drainage, bathrooms and laundry facilities, foundation, common safety devices, fireplaces and wood stoves, kitchen and kitchen appliances, general interior, attic, insulation, ventilation, roof, and exterior. It is a good idea to be present during the inspection for a couple of reasons: First, you can ask the inspector questions during the inspection. Also, the inspector will have the opportunity to point out areas of potential trouble, which will mean more to you if you see it with your own eyes than read it in the inspector’s report later. Many inspectors also will offer maintenance tips as the inspection progresses.